Amazon issues updates for its Echo virtual assistant every week, so its feature set constantly grows. Here are the best new Echo updates from the past few months. Almost every Friday — and sometimes more frequently — I get an email from Amazon, with a subject line like, "New features have been recently added to Amazon Echo," the company's $180 smart-home virtual assistant and wireless speaker. None of the new skills or features are essential. And you'd be hard put to remember all of Echo's current features. Do I regularly use most of the new features? Nope. But that's not the point. Amazon is heavily investing in Echo, upping its usefulness every week, and further justifying a place in my home for its odd, kind-of-dorky device. Here's a list of five of the coolest Echo third-party skills and features that were released during the past few months. Spotify Premium subscribers can link their accounts to Echo using the Alexa mobile apps. After that, Spotify users can instruct Alexa to do things, such as "play Adele on Spotify." Within seconds, an appropriate song plays, such as the British singer's latest hit, "Hello." This feature alone probably isn't worth the cost of Spotify Premium ($10 per month). I pay for the premium service, because I love the ability to download Spotify songs onto my iPhone and play them while I'm out and about, without having to eat up my data plan. Through integration with IFTTT, an online service that automates certain tasks, Echo users can locate missing smartphones (as long as they're within hearing range) by speaking the command, "Alexa, trigger find my phone." It then automatically places a call to the missing phone. The device ringer must be turned on, of course, and the service leaves a robotic voicemail message. Also, saying only, "Alexa, find my phone," didn't do the trick for me; you have to remember to say, “Alexa, trigger find my phone." Echo won't displace Google Maps anytime soon. Still, it can provide a quick look at what's in store for users on their upcoming commutes, while they rush around the house getting ready. The Alexa app can be used to designate a starting point (your home, presumably) and a usual destination (the office). After that, the question, "Alexa, how is traffic?" is answered with a projected commute, along with route suggestions. Echo passes the all-important "kitchen test;" you can ask it, "When is 'The Revenant' playing?" while your fingers are glistening in olive oil and quickly receive an answer. Echo tells you showtimes at specific theaters, and you can say "Skip ahead" to jump to the next theater's showtimes. You can also say, "Hey Sir," to wake the iPhone's virtual assistant. But Siri doesn't do movie times as well; she simply gave me a list of theaters where "The Revenant" is playing, and I had to pick up the phone and start tapping to get showtimes — not something you want to do with olive-oily fingers. After you link Echo and your Google Calendar, you can ask Alexa such questions as, "When is my next appointment?" or "What's on my calendar tomorrow?" Your smartphone’s virtual assistant can also likely perform similar feats, but if it's not handy or you're just closer to Echo, you'll appreciate this particular "skill." 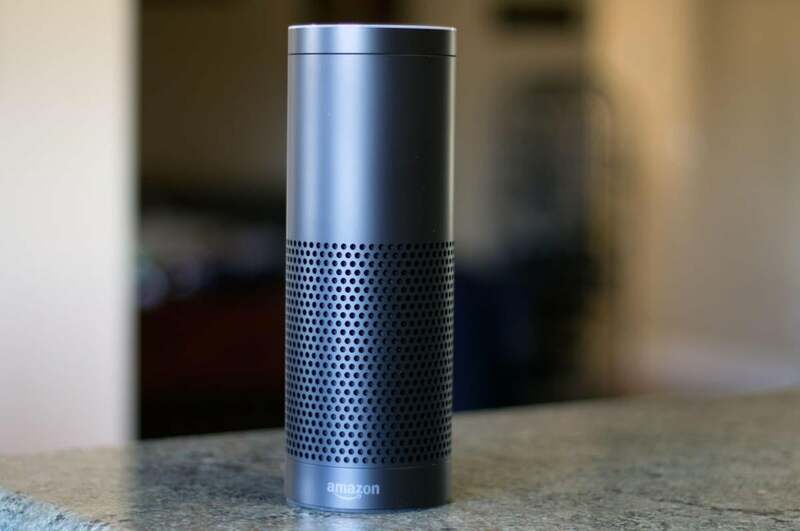 Echo does a whole lot more than these five things, especially if you have a smart home setup. For example, people with ecobee thermostats can ask Alexa to, "set the bedroom temperature to 65," to change room temperatures. Echo has some downsides, of course. At $180, it's pricey, and on occasion Alexa speaks up out of nowhere and starts babbling. Unlike a smartphone or computer, Echo is not an essential device — yet. If Amazon continues to roll out regular updates, that may change sooner than later.